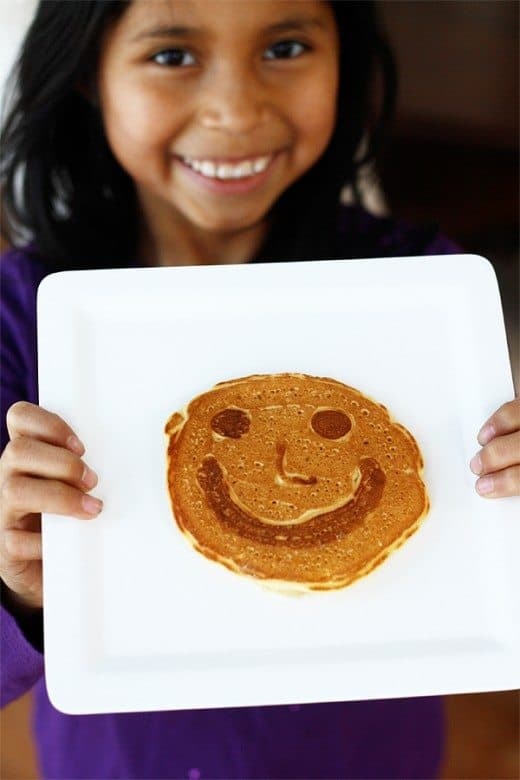 National Pancake Day is just around the corner (March 12th this year or March 5th if you’re celebrating Shrove Tuesday), but every morning can be a celebration of pancakes when you share a smile with these fun pancakes. This Pancake Art Batter Dispenser makes these pancakes super simple to make. First whip up your favorite pancakes. We use this simple pancake recipe. Mix dry ingredients together in a bowl. Add in wet ingredients stirring until blended. Batter will be slightly lumpy. 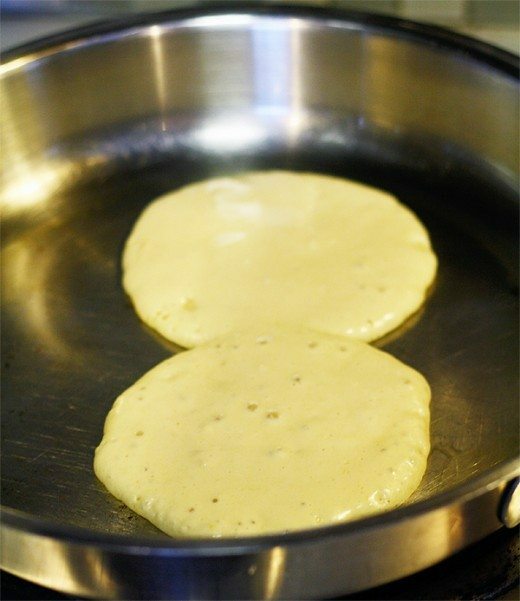 Pour batter into the pancake art batter dispenser. This handy dispenser has a threaded top so you can add a plastic cake decorating coupler and pastry tip. We used a size 5 pastry tip. Heat skillet on medium heat. Once skillet is hot use the dispenser to draw a face. 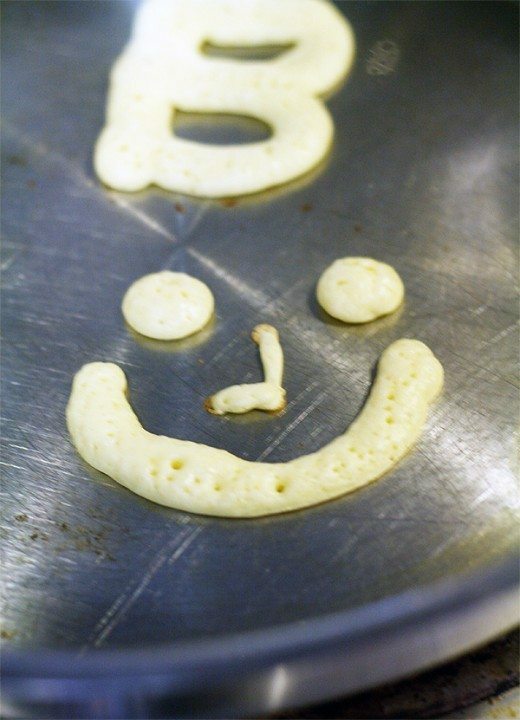 You can also draw letters for monogramed pancakes. Allow the batter to cook. It will start to have bubbles that pop and look dry. 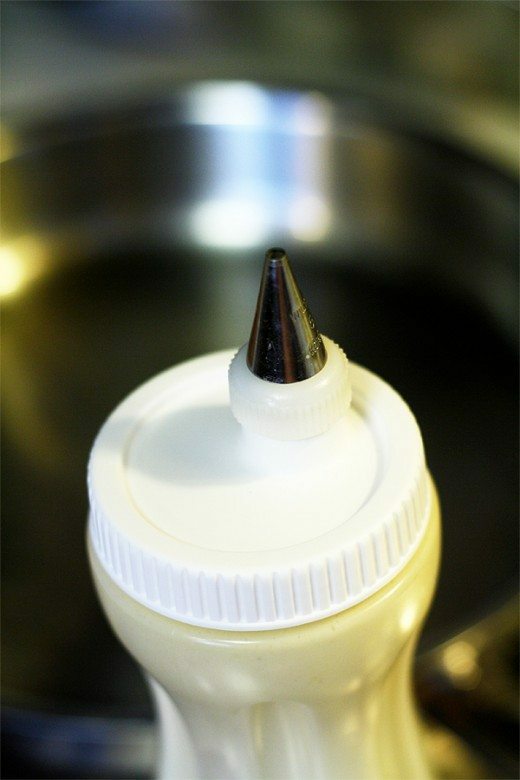 Remove the pastry tip from the bottle and cover the designs with more batter. Pancakes are ready to flip when bubbles in batter pop. 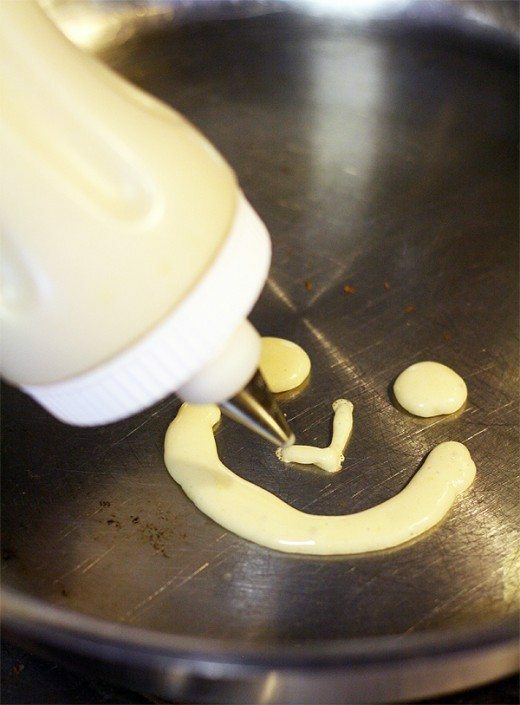 Now you are ready for a happy breakfast! Find more Mardi Gras ideas here. I love your dispenser with lid and cake decorator tip. Could you let me know where you got the bottle? Our organization. Makes a Dutch treat, poffertjes, and we need dispenser bottles like this but are coming up empty handed. Thanks!